Join the worldwide #GivingTuesday‬ movement to celebrate generosity and gratitude by making a gift to the Noyes Children's Library Foundation on December 1st (or any day!). Help support the little library with a big mission by remembering the Foundation in your year-end giving. MCPL is building a lovely ramp and new doorway to create greater access to Noyes Children’s Library. This will be an interim ramp and entrance until the Make MORE Noyes Renovation Project can begin. The county and the Noyes Children’s Library Foundation are working to complete the design, raise the funds and Make MORE Noyes! Our plans call for so much more than a ramp – MORE space, MORE early literacy programs, MORE outreach, and all of it designed at the highest level of accessibility. Learn more. Now that the owl perched over the Noyes door has a name, she would really like to get to know the families that visit the library. If you love books as much as Pearl does, you probably have favorites that you would like to share. So here is Pearl's first question: What picture book character would you most like to be? You can tweet your answer #BestCharacter to @MakeMoreNoyes on our Facebook or Twitter pages. Kids, parents, grandparents and picture book lovers of all ages are invited to respond! 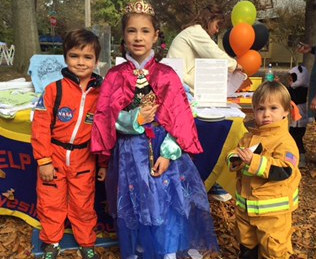 The Noyes Children's Library Foundation was proud to be part of the Pumpkin Rock N' Roll at Warner Circle Park on Halloween. 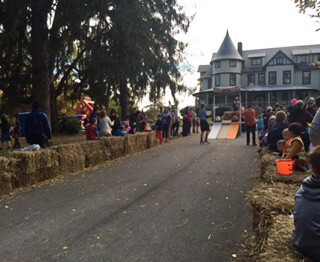 We had so much fun in fact that we are making plans to be part of another big event on the Warner Mansion grounds in the future. Stay tuned for details! Snuggle up and celebrate the winter holidays with books by D.C. author Laura Krauss Melmed, including Moishe's Miracle. 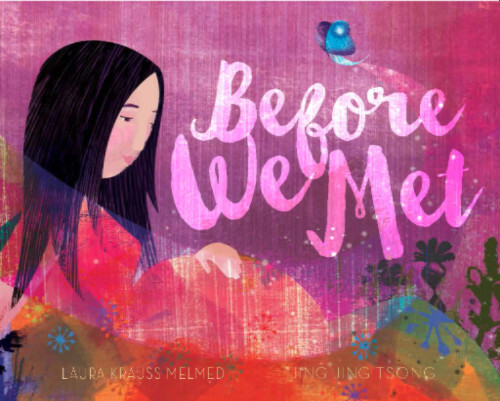 Her latest book, Before We Met, illustrated by Jing Jing Tsong, is about an expectant mother's hopes for her new baby and is due out in May. Read more about Melmed and check out her books at the library. 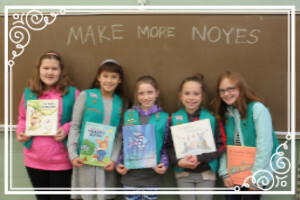 Girl Scout Junior Troop 5709 recently made plans to take on a project to support Noyes Library. The nine young women (five pictured here) are working hard writing letters in support of accessibility at the library, finding ways to be involved with a planned reading garden across the street from Noyes, and developing their own penny theater to perform for young children. The foundation, an all-volunteer nonprofit that works to support Noyes, is always appreciative of our volunteers' many contributions. Contact us to see how you can get involved! 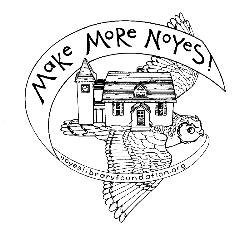 The Noyes Children’s Library Foundation launched the Make MORE Noyes Campaign to fund a major renovation of the 121-year-old library, making it accessible to those with physical disabilities for the first time in history. Noyes Children's Library Foundation, All rights reserved. If you were forwarded this newsletter and would like to receive future editions, please contact us to be added.